Mulligan Restoration, Inc. is a company focused on superseding the expectations of its customers, community, and employees. We want our customers to have an enjoyable experience as they see quality craftsmanship poured into their project. This will be achieved through the performance of our highly skilled, trustworthy, and friendly carpenters and tradesmen. At the end of every project we want our customers to walk away with a satisfaction not only of the job itself, but also with the internal pride of making a positive effect on the value of the structure, their community, and the environment. 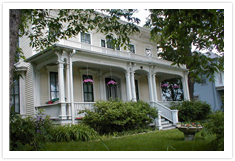 Call 815-964-4210 to receive more information about Historic Preservation, Remodeling, and Handyman services.